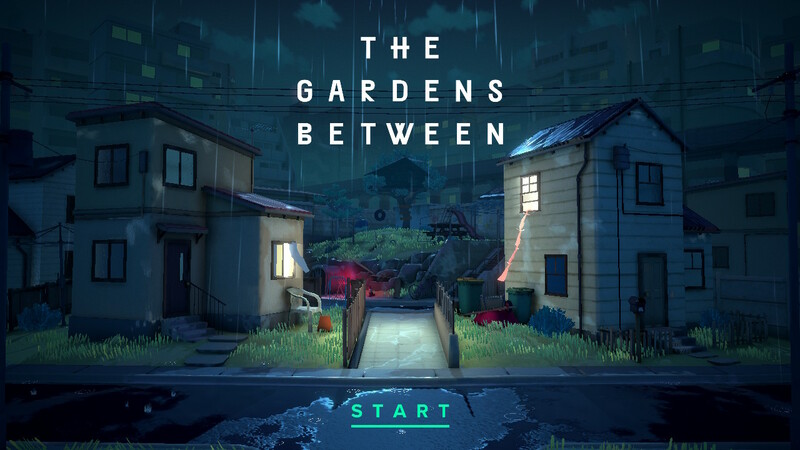 The Gardens Between is a short indie title by the Voxel Agents and is being released on Switch, PC and Mac Steam, PS4, and the Mac App Store. The game represents over 3 years of work by the small indie team and has finally arrived for you to experience at its fullest. The Gardens Between is a story of two childhood friends, Arina and Frendt, as they trek through a mysterious realm where they must revisit pivotal moments in their childhood. Along their journey, they will recall their building friendship which started off in the small garden between their houses. The story showcases moments of their lives as they intersected in their treehouse, staring at constellations, a lost jacket, video games and more. In the mysterious realm, time flows in both directions. This game mechanic is used to move objects within each island and carry the lantern through the gate to the next location. It’s a simple mechanic which allows for time altering capabilities, along with the ability to interact with certain elements you will solve puzzles by switching on TVs, computers, unleashing water from a hose, and striking items with electricity from lightning bolts. When you approach one of the twenty levels you must assess how you will carry the lantern with a glowing light encased in it to the end. In some levels, you must interact with triggers that will move boxes that you can set the lanterns on which will then move forward and backward as you move time. Frendt has an ability to interact with switches that allow the player to move the world around you which then allows for branching paths for you and Arina or opens up different interactivity that you would not have had before if the objects were not placed where you need them. There were several moments in the game where the puzzle elements were not as clear until that aha moment where recalling a certain mechanic came to mind or a clever use of time manipulation was uncovered. In The Gardens Between there isn’t a fail state and you won’t encounter death, but you may hit a wall in some puzzles that aren’t as evident to you when you first find them. Along with the various time elements, there are unique puzzles that stood out to me in the way that reminded me of the classic Fox, Chicken, Grain riddle. The way that you have to manipulate objects in the levels, as well as the flow of time, make for some unique brain teasers. During the puzzles that take place during the storm, there are very specific uses of lightning which stood out to me as clever. The visual of the bolts striking objects was impressive and the outcome of connecting certain objects during the storm stood out as some of the greatest moments in the game. The Gardens Between has some immersive music that does a great job of setting the scene and making you feel connected to Arina and Frendt and their friendship. There are moments after each level that showcase the scene from the level you just completed and how their friendship continued to grow. These vignettes into their life are small but they do well in showing their relationship. There isn’t much in terms of audio in the game. There is no character dialogue and the only game audio is the footsteps of Arina and Frendt through the levels, rain showers, beeps and blips of the game console or computer and other object audio. None of it feels out of place and most of it is very subtle. The boom of lightning crashing against an object is the most satisfying sound in the game. The Gardens Between plays the same in handheld or docked. I never noticed any visual hiccups or lagging, as the game moves at a slower pace and elements within the levels are controlled and therefore not demanding of the system. Overall the visual style is a cell shaded artistic design which fits well within the world of the small island levels. The colors are rich and vibrant throughout and look especially well in docked mode. The world of The Gardens Between is a pleasure to walk through and experience and is one I highly recommend. The 20 levels of The Gardens Between are short snippets of the relationship between Arina and Frendt and a unique puzzle adventure game that shouldn’t be missed. The biggest complaint I have is that the game is over too quickly. I really enjoyed my time in the game world and recommend The Gardens Between 100% to any fan of indie games that have a unique gameplay hook and story to tell.